The school, with adjacent schoolmaster's house, was built in 1871 and replaced an earlier school in the village. Constructed in unreinforced concrete by Henry Hanbury-Tracy as part of the Gregynog Estate. Hanbury-Tracy's use of the material on the Gregynog Estate was intended to demonstrate the benefits of building in concrete, which it was claimed reduced the cost of a building by a half compared to brick or stone. The concrete was made from river gravel and brick fragments bonded with cement. It was laid in wet courses directly on to the wall using timber shuttering and finished with a skim coat of render. 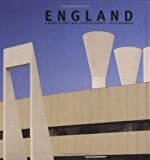 Concrete was also used for mullions, roof slabs, chimneys and fireplace. The school closed in 1995. The building faces E to the playground and consists of a large classroom in Tudor-Gothic style and a smaller N classroom at right angles behind. There is an entrance porch, with an added lobby at the rear. Rendered concrete painted white, with slate roofs. The main range has a 4-bay S elevation with stepped buttresses and 2-light windows. The E elevation has a coped gable with the base of a bellcote on the ridge. Below is a single lancet window. The porch is offset to the R and has a cross moulded in concrete and Tregynon School in black painted letters. The doorway has a pointed arch. (Attached to the porch are C20 additions to L and R.) The W elevation has a 3-light window, now boarded up, under a lancet arch. The lower N classroom has a tall concrete stack with paired octagonal shafts and moulded cap. On the N side are stepped 2-light windows; on the W side is a former 3-light window converted to a door (to the E is a C20 addition). The main classroom has a concrete fireplace with a raking hood, concrete corbels supporting an arch-braced roof, and splayed window reveals; in the smaller room is a plainer fireplace with concrete overmantle. The doorways have chamfered surrounds and boarded doors. In the porch concrete roof slabs can be seen beneath the slates. Listed as a C19 school in typical Gothic style but especially notable for its experimental use of unreinforced concrete, and for group value with the adjacent Boundary Wall and School House. The building also forms an important component of the surviving group of concrete buildings in Tregynon. Located at a junction of 2 minor roads 50m SW of parish church. The wall forms the S and E boundary of the school, and extends W to the front of the School House. Located on N side of the road leading SW from parish church and approximately 70m from the church. The house is set back from the road, with the school immediately to the E.
Located on raised ground on W side of village, overlooking Bechan valley. The church is sited in a churchyard with rubble retaining wall to S.
Backs on to E side of churchyard, and set back slightly from the road through the village. 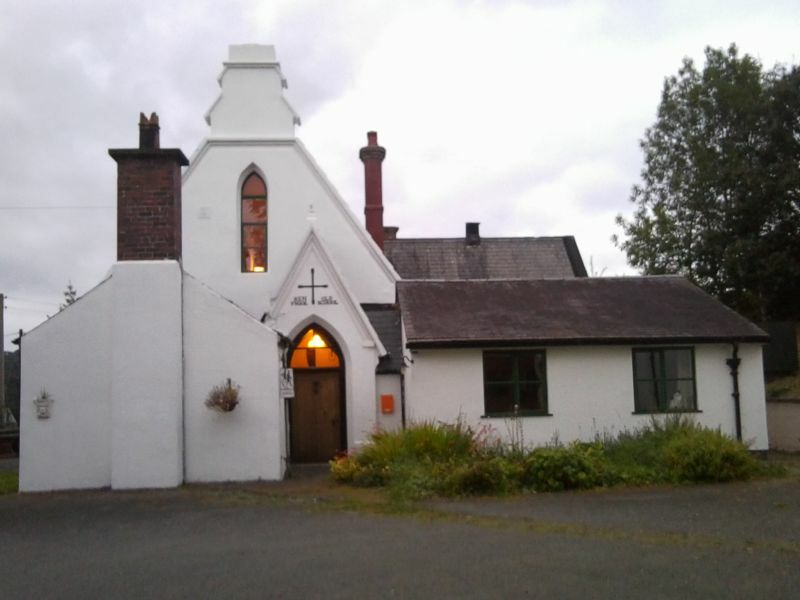 Located on the N side of the E entrance of Gregynog Hall, close to the junction with the B4389 through Tregynon, and approximately 0.4km S of parish church. Located at the S end of Tregynon village, approximately 100m E of entrance to Gregynog Estate. Located approximately 0.8km N of parish church on the corner of a junction of 2 minor roads. The farm buildings form 2 sides of the farmyard.